Mr. Gudi qualiﬁed for his medical degree in 1990. He was admitted as a full member of the Royal College of Obstetricians and Gynaecologists in 1999 and became qualiﬁed as a Consultant Gynaecologist in 2005. He trained in the ﬁeld of fertility medicine and carried out extensive research at Bombay Hospital in India and the Homerton Hospital in London. 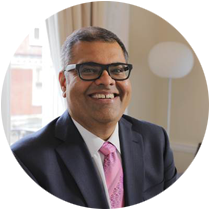 Mr Gudi has been the HFEA Person Responsible and Lead Clinician at the Homerton Fertility Centre over the last 4 years. He specialises in assisted conception techniques, fertility preserving, keyhole surgeries, endometriosis and all aspects of fertility treatments. He has done extensive research in polycystic ovarian syndrome in the UK and in the asian population in India. In the past few years he has demonstrated new challenging techniques in treating women with multiple failed cycles, genetic screening of embryos and pregnancies through egg freezing. He has been instrumental in introducing new stimulation protocols and tailoring treatments speciﬁc to each patient. Mr. Shah qualiﬁed for his medical degree in 1988 and achieved his Obstetrics and Gynaecology Masters degree in 1991. He was admitted as a full member of the Royal College of Obstetricians and Gynaecologists in 2004. He has since practiced as a Consultant and Clinical Lead at the Homerton Fertility Centre for over 3 years. He trained as a fertility specialist in India, as well as the UK, and has since practiced in the USA, Germany and the UK. Mr. Shah’s main areas of interest are fertility treatments and fertility preserving surgeries, including treatment of endometriosis and assisted conception and egg freezing. He has introduced challenging new techniques in egg freezing and in genetic screening of embryos. Using extensive technology he has been able to identify complex causes of failure of fertility treatments and improve success rates. Mr. Kulkarni has completed his medical education and post graduation from India in 2003. He was admitted as a full member of the Royal College of Obstetricians and Gynaecologists in 2013 and became qualiﬁed as a fertility specialist in 2017. He has worked with Mr Shah and Mr Gudi at the Homerton hospital as a clinical fellow from June 2013 and as a fertility specialist since Jan 2017. He has trained in the ﬁeld of fertility medicine in India and UK and has practiced in India, Samoa & UK. 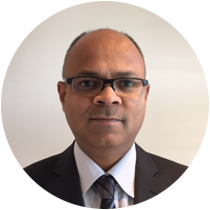 Mr. Kulkarni has developed advanced skills in Hycosy and ultrasound and he specializes in assisted conception techniques, fertility preservation and all aspects of fertility treatments. He has assisted research in polycystic ovarian syndrome in the UK, acupuncture in IVF. 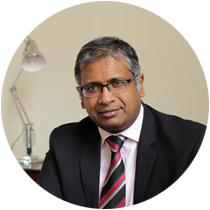 Mr. Kulkarni is a member of British Fertility Society and member of European Society of Human Reproduction and Embryology. He has presented at various national and international scientific meetings and congresses. Mr. Kulkarni believes passionately in the personalized and flexible approach adopted by Fertility Plus in the management of infertile couple. Sonal has worked with Fertility Plus for over 5 years and for patients requiring egg donation services provides the all important role of ﬁnding the right clinic and donor. 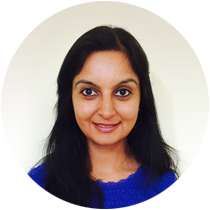 Sonal works with the patient and the donor clinic to co-ordinate timing of treatment and treatment plans. With almost 20 years experience in fertility medicine in the NHS, Sonal’s experience makes egg donation seamless for Fertility Plus patients. When not dedicating her time to the Fertility Plus patients Sonal enjoys reading, cooking and shopping. 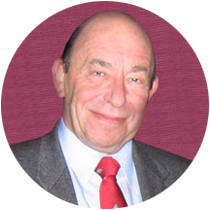 Professor Homburg is a world renowned authority in the ﬁeld of fertility medicine and has published several hundred ground breaking publications. Professor Homburg will be available in an advisory capacity and lead the research and academic developments for Fertility Plus. Having worked in fertility since 2007 and with Mr Gudi and Mr Shah since 2011, Aga runs the business administration team at Fertility Plus and is ultimately responsible for making it all happen. From dealing with patient enquiries, managing diaries, letters and invoicing, Aga ensures that the entire Fertility Plus experience is smooth running. When not looking after Mr Gudi and Mr Shah, Aga enjoys a busy life with her young family. Working with Aga, Wendy supports the Fertility Plus practice administration. 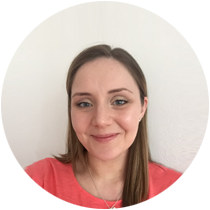 As PA, Wendy deals with appointments, patient enquiries, liaising with clinics and hospitals. 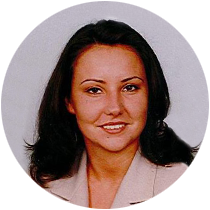 With over 13 years secretarial experience in the private sector and private healthcare, Wendy has plenty of experience to keep the Fertility Plus practice on track. In her spare time Wendy volunteers at the local brownie camp and enjoys time with her family.